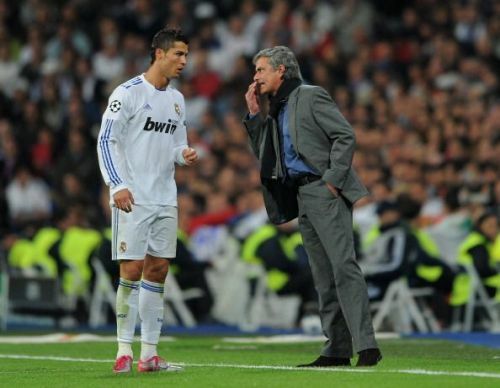 Jose Mourinho has said Cristiano Ronaldo and Lionel Messi aren't the MVPs of football right now. Jose Mourinho, whilst speaking to beIN SPORTS in an exclusive interview, revealed the one player who has surpassed Juventus superstar Cristiano Ronaldo and Barcelona talisman Lionel Messi as the world's most valuable player at the moment. He picked Paris St. Germain's prolific goalscorer Kylian Mbappe as the MVP, because of his unbelievable talent and qualities. Mbappe, who is just 20 years old now, won the FIFA World Cup with his nation France last year, even scoring in the final against Croatia and matching Brazilian icon Pele's feat of being only the second teenager to ever score in the final of the world's biggest football tournament. The former Monaco winger is currently the top-scorer in Ligue 1 with 26 goals in 23 appearances for his club. He is already the youngest to reach 10 goals in Champions League history and boasts much better stats than the impressive duo of Messi and Ronaldo when they were of the same age. Mourinho, who is yet to take up another job following his sacking as the Manchester United manager in December last year, appeared on a beIN SPORTS special program titled 'Special One - Special Memories' and praised Mbappe's incredible potential. Mourinho has kept everyone in the dark over his future, but let's hope that one of the most successful managers of all time returns to coaching at the turn of the season.